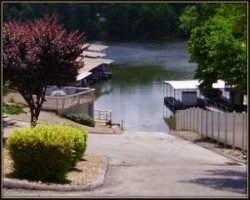 11 West Condominiums is located on the beautiful Lake of the Ozarks in Sunrise Beach Missouri. Come enjoy our 2 Bedroom, 2 Bath condos for your next vacation. 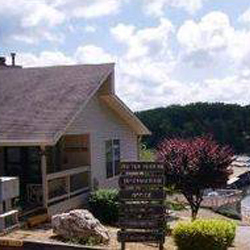 Nestled in the quiet west side it offers convenient access to the top attractions at the lake. 11 West Condominiums is a small and family oriented complex. It’s a great place to live and vacation. You will find a clean, bright and comfortable living and dining area with views of the lake from your spacious deck. The two bedroom, two bath condos feature fully-equipped kitchens with breakfast bar and dining area. We offer a wide variety of amenities to make your stay at our vacation rentals more enjoyable. All linens are provided. For your convenience, there is a full-size washer and dryer. Feel free to bring your laptop if you need to keep up with email while on vacation. High Speed internet access is available. Cable TV in living room and bedroom. The master bedrooms feature a lake view and private bathroom. You will have one designated parking space for your use just steps away. The office is located in the clubhouse Which houses a lending library where you can find a book to enjoy at poolside. The pool is conveniently located just outside the Club House with easy access to restroom facilities. 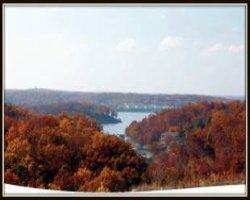 In the fall, the Ozarks are noted for the beauty of the many species of trees showing off their colors. A boat ramp is conveniently located nearby and slips are available for daily rental. A short distance from the shore is a protected swim dock. There are three large docks from which large numbers of catfish and crappie have been known to be caught. There is also a tennis court. The martini deck down by the water is a fun place to gather anytime of the day or night. Take your morning coffee or join the neighbors for a cocktail. There's always a cool breeze off the lake. Relax and enjoy. Large numbers of catfish and crappie have been known to be caught.